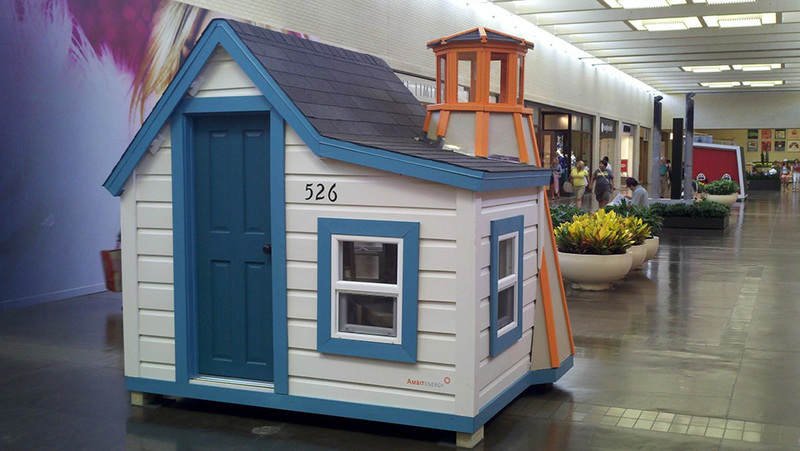 For many years I had seen the Dallas CASA Parade of Playhouses in North Park mall. Finally I was a part of a company who wanted to join me in the effort to build and donate a playhouse. Results were great, but we learned many things – lessons that were put into practice in 2013. Build space was my driveway; built by Ambit Energy’s Creative Services and MarComm departments; design created and architected by John Keese; materials donated by Ambit Energy.